Extremely funny episode of the Tonight Show on Free Photo Booth. 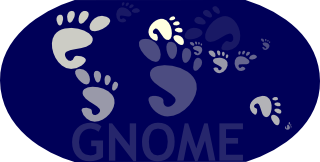 Today I tried to port my fixes from dasher gnome-2-12 branch to HEAD. I thought I can start with making a diff of the branch and read through it to see what should be done on HEAD, since HEAD has got a lot of reorganization. The 34MB patch is more than 350,000 lines not including the translations... Damn. "Wow" numbers in blizzard's recent profiling startup time post. Much more interesting is the Stress Analysis of a Software Project [long] he links to. As good a read as the Feynman report even. And the analogy is so true. Where are we heading guys? Was leaving home this morning when I figured I've lost my wallet, since it's not in the office either. Have got to go back home and make sure I've really lost it. A bunch of valuable digits inside that I'm not going to elaborate here, should you be reading, yes you! An orange GUADEC 6 staff shirt with the GNOME TEAM printed on the back, got from a dear friend in Iran! Another thing that all GNOME maintainers may want to check is that their modules have the MAINTAINERS file, AND that this file is included in top Makefile.am's EXTRA_DIST variable. What is a MAINTAINERS file good for if it doesn't go into the tarball anyway? The catch is that for files like README, NEWS, AUTHORS, TODO, and a few more, automake automatically includes them in the release, but for MAINTAINERS, it's up to you to add it. Same for HACKING, if you happen to have it. SVG version. Feel free to get the SVG and edit the colors, whatever. Update 2: Replaced the SVG files with hand-written ones, so you can change the colors by tweaking a couple entities at the top. Just reported some 30 bugs in GNOME Bugzilla for various products to update their .desktop file to have GNOME;GTK; in the Categories line. According to the standard, if GNOME is in the categories, so should be GTK. 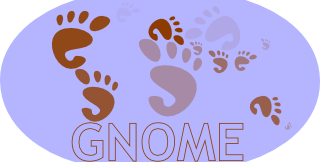 Most of the products did have GNOME but not GTK. Some others missed both of them. Please check .desktop files for your modules if you did not get a bug reported, and make sure it does have a Categories: line that starts with GNOME;GTK;. Seems like kris and todd have taken on the planet together. Nothing to read there. Cute! Ok, so I'm in Amsterdam airport again, for about 7 more hours... If you like to drop by for a coffee or other drinks, send me a quick email and we'll see. So I went to the Mehrabad airport last night to get back home, but fortunately the flight was canceled and postponed 24 hours. I took the time and went up skiing today. Much fun, even if we skied for an hour. Will try going back home again tonight. Finally fixed the hex-box drawing for pangocairo-fc backend. Bug #313551. Wait for tomorrow's Pango devel release. Everybody known that laptops have a higher tendency to die while in vacations or otherwise away from normal life. 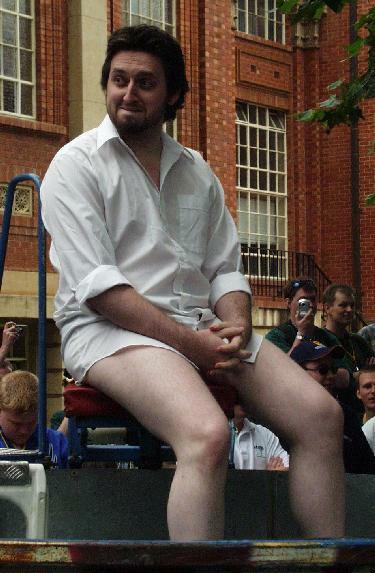 Well, so did mine. Last year on the day of the Iranian new year, the backlight of my lovely huge heavy Vaio laptop died. I ordered the cheapest backlight found on eBay and managed to dismantle the LCD and replace it successfully. Being the cheapest brand, it went red in just a few months, so I've been using external monitors for the past four months, until I got a new backlight, not the cheapest one this time... So I arranged for somebody to bring it to Iran after it didn't arrive in time for my own travel, and picked it up too. An Evening with Jeff Waugh (Linux Journal) by fellow TLUGer Colin McGregor, about jdub's talk in Toronto that I hosted. 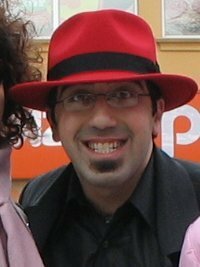 Fedora Ambassadors Program takes flight (Red Hat Magazine) by Fedora's own Greg DeKonigsberg. On Google Video: The Sysadmin Song. Extremely funny. Tomorrow everybody's going back to normal life again, while I start the second half of my 5-week-long vacation back home... Unfortunately I gave away my tiny camera, so no photos at all so far, but I could write a long story about every night of my stay. Seems like a couple GNOMErs have filled up the planet, so I've missed reading a few entries from the past few days.